Dr Jacobson's research focuses on providing all global energy with wind, water and solar power. 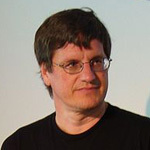 He has developed and applied numerical solvers and models to simulate air pollution, weather and climae, which has lead to several scientific findings with policy implications. As of 2014, he has been leading a project that maps the potential for all 50 states in the US to switch to 100% renewable energy. He was awarded with the Global Green Sustainable Design Award in 2013 by the Global Green USA organisation in New York City. Tongwei Group is a fast-developing private scientific enterprise that engages in chemical industry, pet food, IT, architecture and real estate. Back in 2007, Tongwei has established large-scale grid connected solar heat power plant. Now it seeks to explore China's separate solar heat power market.Tongwei has chosen Feidong of Anhui as a demonstrational site. The unit takes 8 to 10 m2 per kilowatt. The cost is about 8000 to 9000 yuan per kilowatt. For individual households, the initial cost is about 18000 yuan for a unit of 3000 watt. The unit has a lifespan of 20 to 25 years, during which the household do not need to pay any more extra electricity charge and could even connect any surplus electricity on grid, which would bring more than 10% profit. Any where a solar water heater can be used, a solar heat power plant can be established. 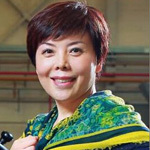 Dr. Jing Liu is a co-founder of Bioprocess Control and has been Chief Technical Officer (CTO) and a Board member since the company was established in 2006. Since January of 2013, Jing has been responsible for company operations at Bioprocess Control. In 2014, he resigned from the role of board director and was formally appointed as CEO to lead the company into a new exciting growth phase. Jing is also an Associate Professor in the field of Environmental Biotechnology and Bioenergy at Lund University, Sweden. Over the past 15 years, Jing's work has been focused on the optimisation of the biogas process, with a special emphasis on instrumentation, control and automation. BMW is a world famous car manufacturer. With the direction of Engel, in July 29 2013, BMW launched its I3. The i3 is BMW's first zero emissions mass-produced vehicle due to its electric powertrain, and BMW is the first company to launch a volume production vehicle on the market featuring carbon-fiber reinforced plastic to improve the vehicle's energy consumption.The car consumes 50% less of energy and 70% less of water. 95% of its components and parts can be recycled and reused. For a distance of 15000 kilometers, I3 consumes 500 euros and is zero emission, compared with 1400 euros and 2640 kilograms of CO2 of ordinary cars. Redefining urban mobility means thinking far beyond environmentally-conscious and agile driving. The result: with its visionary design, the BMW i3 design defines the automobile of tomorrow. Its innovative BMW eDrive power train was designed in the scope of the BMW EfficientDynamics technology and is not only locally emission-free, but also offers an incomparable and near-silent driving experience. The intelligent BMW ConnectedDrive Services bring you easily and conveniently to your destination. Google Earth is a virtual globe application developped by Google under the direction of Brian McClendo in 2005. Google Earth is known to be a powerful tool in monitoring changes in the environment to help people monitor deforestation, soil coverage classification, biomass and carbon estimation.Google Earth has become an important tool to demonstrate and explain problems. For example, during the hurricane Katrina relief, Google Earth helped rescuers save more than 4000 lives. In Australia, a scientist used GE to discover new edge coral reefs in a zone marked for oil and gas. 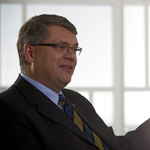 Jussi Pesonen became the CEO of UPM, the biofore company. As the frontrunner of the new forest industry UPM leads the integration of bio and forest industries into a new, sustainable and innovation-driven future. We create value from renewable and recyclable materials.UPM is building the world’s first biorefinery for producing wood-based renewable diesel.The focus is on developing biofuels, biocomposites, biofibrils and CO2-neutral energy.The majority of UPM’s R&D input is targeted towards new technologies and businesses. Creating more with less is UPM’s means for better resource and material efficiency.The production of BioVerno the renewable diesel is 100 thousand tons per year, which equals to a quarter of target set for 2020 for the recyclable energy use in transportation. 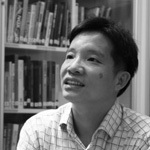 Lee Boon Woei, the director of DP Sustainable Design has been practicing sustainable design since 2006 when he first set up a sustainable design technologies team to spearhead the integration of green design for the benefit of building owners and end users.He has gained extensive experience in sustainable building research and design while undertaking green design and international M&E consultancy works in China, Malaysia, Vietnam, UAE, Brunei, Indonesia, India and Singapore. He specialises in building physics studies, building energy efficiency and integration of systems for optimal building performance.Boon Woei is a Green Mark and LEED Accredited Professional. 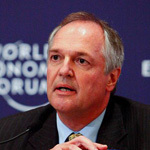 Polman, who was appointed as for Unilever in 2009, commenced a pervasive change of course towards a more sustainable operation, among other things through Unilever's “Sustainable Living Plan”. His starting-point is that "You cannot grow a healthy business in an unhealthy society". The objective is to halve the company environmental footprint by the year 2020, and to increase its positive influence on global health, prosperity and working and living conditions at the same time as the company grows.In 2013, Unilever has decreased its CO2 emission in its production by 833,000 tons compared with 2008 (32% less emission per ton of product). Till 2014, Uilever has realised 100% sustainable purchase of palm oil. With more than 30 patents in the field of electric vehicle technology, Weichai Group have successfully developed Electric Vehicle Generic Chassis, Dynamic In-Line Battery eSwap System, Spherical In-Wheel Motor, EV Active Direction Control System, Battery Management System and other ancillary technological products.Weichai’s rapid development was fully affirmed by the superior departments and leaders, has won the "Chinese Industry Award", "National Advanced Basic-level Party Organization", "National Quality Award", "National Innovative Enterprise", "National Demonstration Base of Enterprise Culture". Several party and national leaders visted and inspected Weichai successively，gave high evaluation on Weichai’s development. The application of new combustion technologies has reduced carbon smoke by 45.83% and nitrogen oxide by 4.6%. Oil consumption has also been reduced. 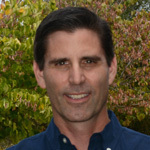 John Spears is the president of Sustainable Design Group and President/CEO of the nonprofit International Center for Sustainable Development in Gaithersburg, Maryland and is a LEED Accredited Professional. 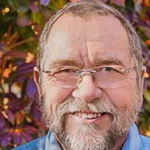 He is an internationally recognized expert with 30 years experience in energy conservation, renewable energy systems, indoor air quality and sustainable design. Mr. Spears provides design and consulting services in the areas of residential and commercial building energy conservation, renewable energy systems, “Green Building” design, indoor air quality and sustainable community development. Mr. Spears designed a model sustainable village with approximately 100 new homes, town center and community building, sustainable water, waste and energy systems and a sustainable agriculture system. The concept of recycling village resources has become central to making this a sustainable design, with renewable energy powering the village: solar heating as well as biogas production to provide cooking gas and a biogas-powered generator for electric power. The biogas is generated on a farm, which serves as the main revenue source alongside the agriculture. The village economy and environment is further aided by new enterprises: compressed earth block technology, straw board manufacture, and flexible home designs that allow villagers to operate small shops to serve villagers and tourists. This sustainable village serves as a model not only for villages in China, but throughout the developing world in agricultural based regions.Mr. Spears has worked with 5 cities in China, providing sustainable development technical assistance in both rural and urban development and is playing a key role in the US-China cooperation on Greening Beijing for the 2008 Olympics. Ab Stevels is a world renowed expert in Applied Ecodesign of Electronics, Management of Eco in business and in Take Back and Recycling systems. He has over 40 years of experience in Royal Philips Electronics and 15 years as a part-time professor. He has written some 180 papers between that were published in a collection called 'Adventures in EcoDesign of Electronic Products, 1993-2007. His research on ecodesign has been world renounced and has advanced the discovery of more sustainable technology in many fields. Elon Reeve Musk is a business magnate, inventor,and investor.He is the CEO and CTO of SpaceX, CEO and chief product architect of Tesla Motors, and chairman of SolarCity.He was an early investor in SpaceX, PayPal, Inc., Tesla Motors, and Zip2,and is considered by many to be a co-founder of each. He has also envisioned a conceptual high-speed transportation system known as the Hyperloop.In college, he often thought about what's the real problem confronted by the world and what will affect the world's future. He sees a future in the Internet, reusable energy and space exploration, the three territory that he explored and dropped Paypal, Tesla Motors and SpaceX, the three bombs. 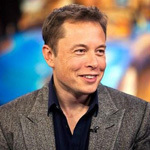 On November 21 2013, Tesla's Elon Musk was nominated Fortune Businessperson of the Year. 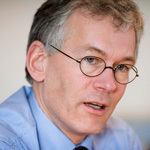 Frans van Houten is the successor to Gerard Kleisterlee, as Chief Executive Officer of the Dutch company of Royal Philips Electronics (known universally as Philips), taking over the position on April 1, 2011. 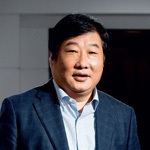 This enterpreneur has led Philips to develop LED bulb to build up a 3.9 billion $US empire. Apart from traditional selling methods, Philips also came up with "Lighting as a Service" LED system. This has solved the problem of making profits while selling products with a lifespan of 15 years. Plus, Philips can promote more energy efficient techniques. Philips markets the bulb as a replacement for a 40-watt incandescent bulb, even though it emits a light level that's equivalent to what a 32-watt incandescent bulb would provide. The LED version requires only 7 watts, or about a fifth of the power required to operate a 32-watt incandescent.Operating with circular-economy principles requires the people of Philips to challenge themselves and to change. They won't think in terms of designing products that they throw over the wall to customers, but instead they design products that are upgradable and maintainable and that can be mined for materials and components that can be reused. 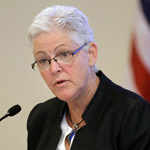 Gina McCarthy is an American public administrator and an environmental health and air quality expert, currently administrator for the U.S. Environmental Protection Agency.On July 18, 2013 she was confirmed after a record 136-day confirmation fight, becoming the face of Obama's global warming/climate change initiative.The American Congress has long been reluctant to enact laws on climage change. The Obama administration took aim at the coal industry on Monday by mandating a 30 percent cut in carbon emissions at fossil fuel-burning power plants by 2030.The proposal sets off a complex regulatory process in which the 50 states will each determine how to meet customized targets set by the EPA. McCarthy is also working to accelerate the shutting down of coal burning power plants and to control carbon emission in newly established power plants. This is the first emission limite set by the US for power plants.McCarthy states that these standards are vigilant and can promote economic growth as well as the competitiveness of power plants in a low carbon economy. 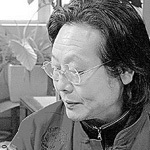 Zhu Renmin is a renowned artist in China who specialises in traditional Chinese painting and serial pictures. He is the director of Landscape Art Research Center of Zhejiang University and of Hangzhou Pantianshou Environment Art Design Research Center. In the past 30 years, he established a new discipline: human eco restoration. He paints restoration projects in paintings, then turn these paintings into architecture, landscapes, sculptures and gardens. His idea of "saving ecology and humanity with art" is put into practice into ten big ecological restoration projects for which he was named "Da Vinci of China" by the UN. CEO of Beijing Jiabowen Bioltechnology Co.,Ltd. Ms Yu is a returning scholar who has led Jiabowen research and startup team to found the first industrial chain model in China that consist of organic waste ressource biological transformation.This technology has not only solved the urban kitchen and restaurant waste treatment problem, but also realized a high-efficient industrial and large scale clean production that is environment friendly and promoted the development of eco-agriculture. In 2010, this model was selected in the MBA teaching case of Harvard Business School. 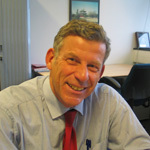 Dr. Jean Pierre Haug is the Chief Operational Officer of TESTEX AG as well as Secretary General of OEKO-TEX® based in Swiss. 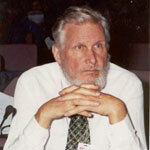 He is successfully involved in the development and introduction of tools for the textile industry which enable green designers to choose easily appropriate materials with a high level of sustainability in production and manufacturing.As Chairman of the technical committee of the International OEKO-TEX® Association, he has played a key role in the development and further development of testing criteria for lab testing according to OEKO-TEX® Standard 100 and OEKO-TEX® Standard 1000 for production facility certifications. 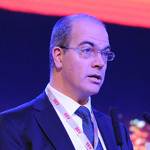 In his function as President of the technical commission for GINETEX, he also plays an active role in the optimisation of the ISO Standard 3758 for textile care labels using standardised symbols. 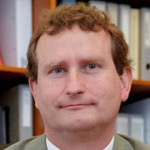 As OEKO-TEX® Secretary General, Dr. Haug will continue the very successful activities of the OEKO-TEX® Association. Since 2013, Dr. Haug has devoted himself to the promotion activities about the Sustainable Textile Production (STeP) certification around the world, as he believes it is the only environmental management system that is tailored to the situation and requirements of this industry. Carol Petrini is the initiator for slow food. He has made sightful contributions in promoting global agricultural and food supply efficiency and sustainability. Up till today, slow food movement has spread to 150 countries and has more than 100 thousand members and supporters. This movement aims at protecting local traditional food and biodiversity and also promoting small scale production. 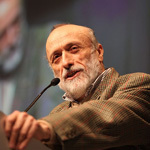 Petrini is also responsible for coordinating a national and international research project in the field of bioethics.